Below are the new features, system enhancements, and bug fixes for v8.8. As always, if you have any questions about a feature, please contact your Implementation Manager or Customer Support. NOTE: If you are a client with both DnA and ISI: If you click on a document link within the Release Notes for an ISI feature, but you accessed the Release Notes via the DnA Help site, the link will NOT work. You must be in the proper help site (the one related to the feature being linked) to utilize the direct links in the Release Notes. [Enhancement] Portal- Gradebook Assignments PDF. 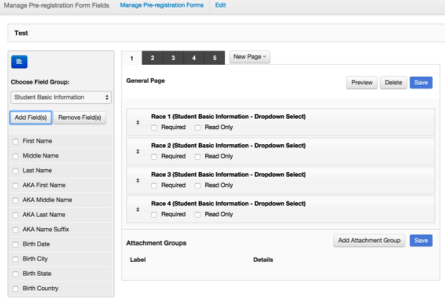 You can now print a list of Gradebook assignments directly from the Student Portal. 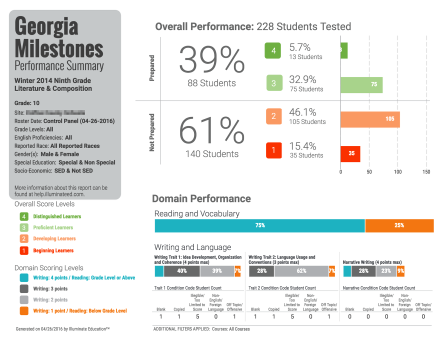 See all the Georgia Milestones Report Abstracts here. 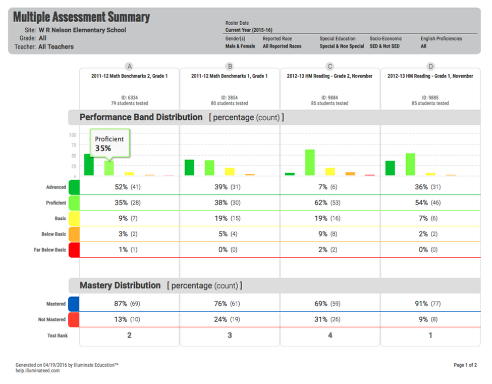 [Enhancement] The Multiple Assessment Summary Report got a little work done, don't tell its friends, okay? 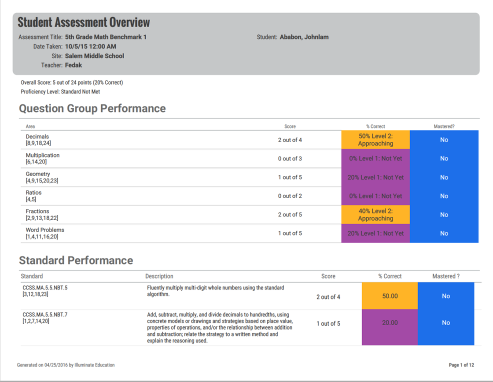 [Enhancement] Student Assessment Overview- Now this reports not only a single student's overall score and proficiency level on a test, but a list of the item numbers on the assessment that are linked to the standard or question group. 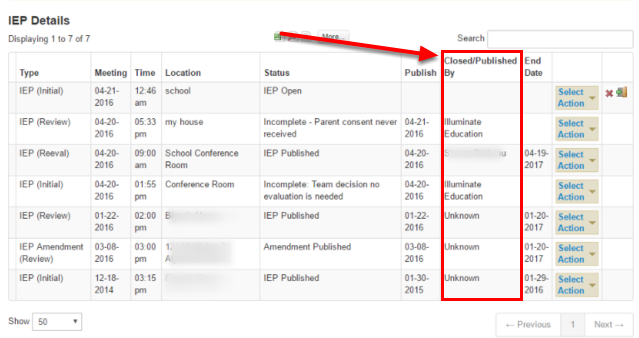 A comma separated list next to the Question Group or Standard Name.Dig into that data! [Fix] Student/Parent Letter graph is back in action! [Enhancement] Custom Forms- Add additional Race/Ethnicity to Custom Forms- Users will have the ability to add more race/ ethnicity fields on custom forms/online registration. 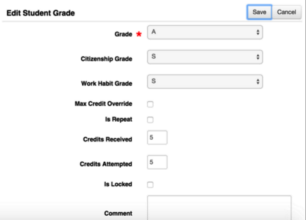 [Enhancement] Transcripts- Edit Course Credits- Users can now edit course credit information on transcript. We initially had this feature available for transfer courses, and now we’ve extended it to non-transfer courses too! [Enhancement] Coming soon...Store/Display user who published an IEP.